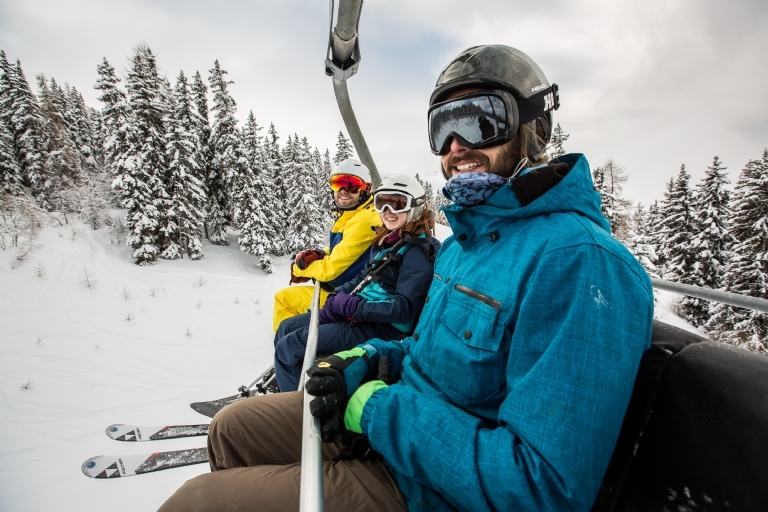 As you should already know, skiing is an excellent work-out – and if you don’t know, read our guide about the massive health benefits of skiing! 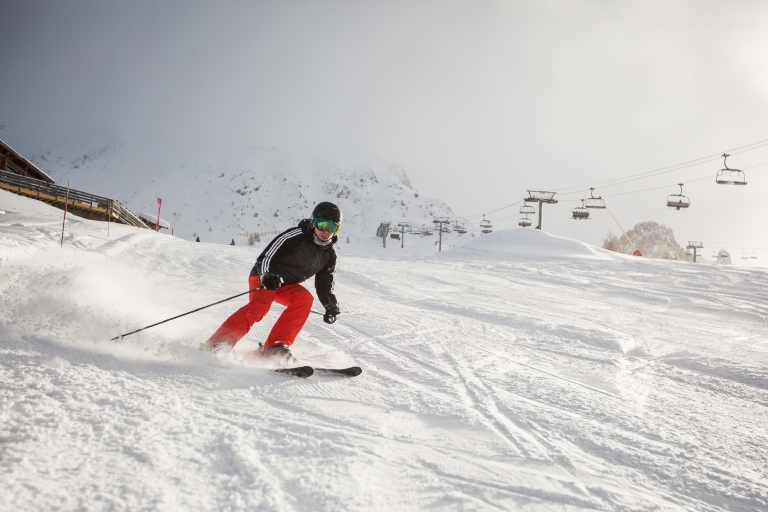 It engages all major muscle groups and constant strenuous effort when on the slopes. Alpine skiing especially requires a constant change of speed and balance position, as well as short-term, intense efforts, made more powerful by the cold environment. Skiing is all about manipulating forces, most importantly of all, gravity. Gravity is the force that pulls us towards its centre, although the earth’s crust stops us getting any further than the surface! Tip the earth, so it is at a sharp enough slope, and you have mountains. Gravity is still pulling us towards the ground, and the angle means we slip and slide down unless we put in the active effort to resist the earth’s gravitational pull. Throw in the slippery surface of the snow, and it makes it even easier to glide down the planet, closer to its centre. Add slippery sticks to our feet to reduce friction between our feet and the ground, and push forward with your sticks, and suddenly we have a gravitational force pulling us down and motion propelling us forward. The less friction, the steeper the slope, and the faster we push forward, the faster we alpine ski! Depending on how we manipulate our skis and align our body when sliding, the snow pushes against us to either slow our mass down, change direction, fly us into the air, or other weird and wonderful things. For example, when we add turning into the mix, more forces start acting upon us which affect our movement. When we turn, centripetal force starts acting upon us. Centripetal force pushes an object towards the centre of an arc. This is the force that makes us change direction as we ski. By digging your ski into the snow, you create a force in the opposite direction pushing into your ski, as every action causes an equal and opposite reaction, also known as the result of Newton’s third law of motion. This is what we call centripetal force, and this is what causes you to turn. The Centre of Mass is the three-dimensional balance point of an object. The centre of mass of your ski pole is likely in the middle leaning slightly closer to the handle because that side is heavier. Likewise, for humans, our centre of mass is somewhere in our core area, varying depending on our body type. However, humans have moveable body parts, so our centre of mass changes depending on what position we are in. If we bend at the hip forward, our centre of mass moves forward. If we turn at the ankles, this force is even more dramatic. Our base of support is what the snow pushes back on to keep us on the earth. Just as legs support a chair, our feet support our bodies in day-to-day life. On the slopes, their skis support each skier. If our base of support fails to support our centre of mass, we go tumbling! When you go alpine skiing, remember that gravity is supposed to be doing as much work propelling you forward as you are - shift your centre of mass forward for extra speed. And if you're going to avoid falling over when you go downhill or turn, you need to place your base of support in such a way as to support your centre of mass! Another way to speed up is to minimise friction between you and the snow. The slippier the connection, the faster you can be skiing. The easiest way to make your skis more slippery is to clean them, brush away any excess, and wax the ski before use. Finally, you can ski faster by reducing air resistance. When you ski, try to make yourself as small an object as you can while maintaining the correct posture to minimise drag that’s holding you back. Or, switch up your gear to more a streamlined look. Aerodynamically enhanced helmets can make a vast difference among skilled skiers! 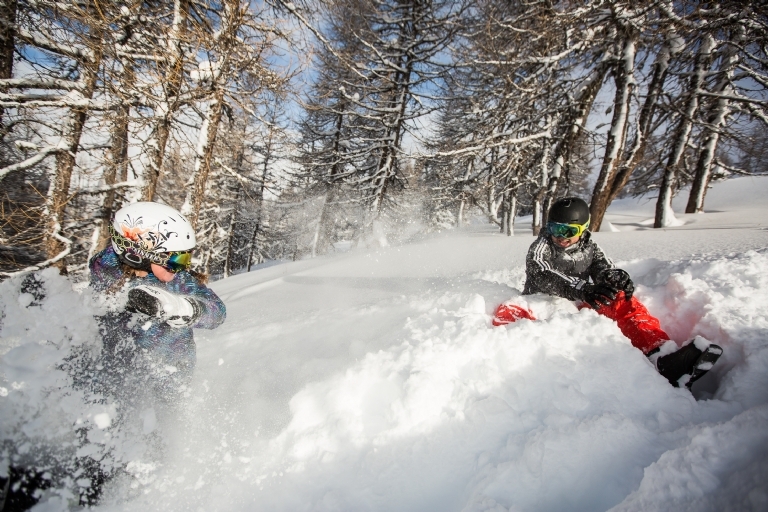 We hope you enjoyed our guide about the science behind skiing. 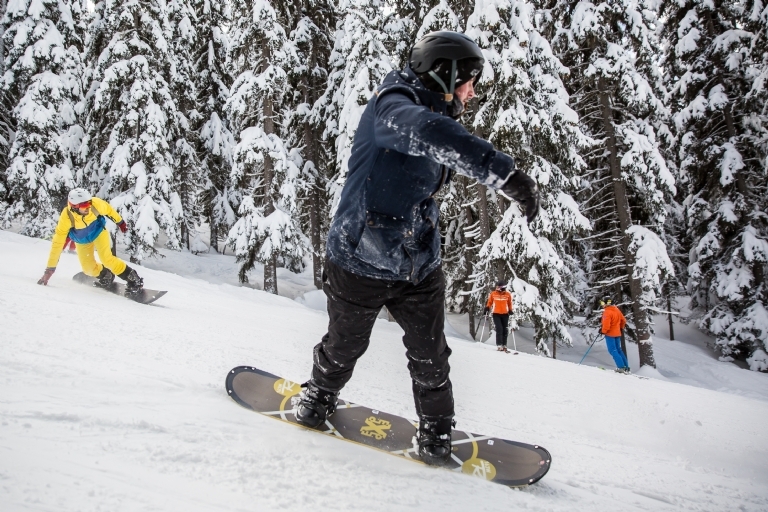 If you are interested in trying out these tricks and seeing physics at work, why not take a look at one of our budget snow holidays and treat yourself to a break? We have some fantastic deals on offer, so take a look today!